Rotary Car Club - View Single Post - Alternator question, battery is discharging quickly. Thread: Alternator question, battery is discharging quickly. Since finding that the S4 alternator wires (R & L) are actually in the engine harness and not the charge harness like thought previously, I traced the wires in an extra engine harness to the connector located in the passenger side footwell. 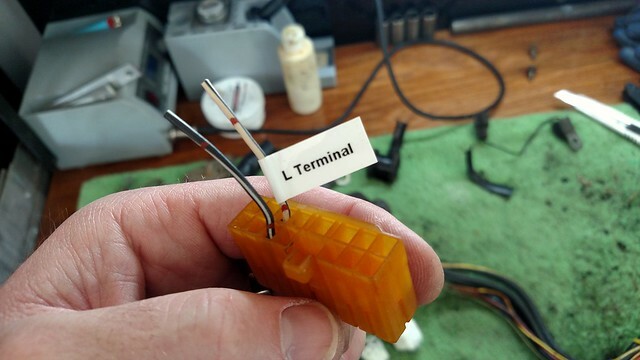 I depinned all but two wires on that connector and will run them to the S6 alternator, however I'll only be using the "L" terminal wire. I thought it would be wise to run the other wire for the "R" terminal in case I need to replace the alternator and decide to go back to S4. .